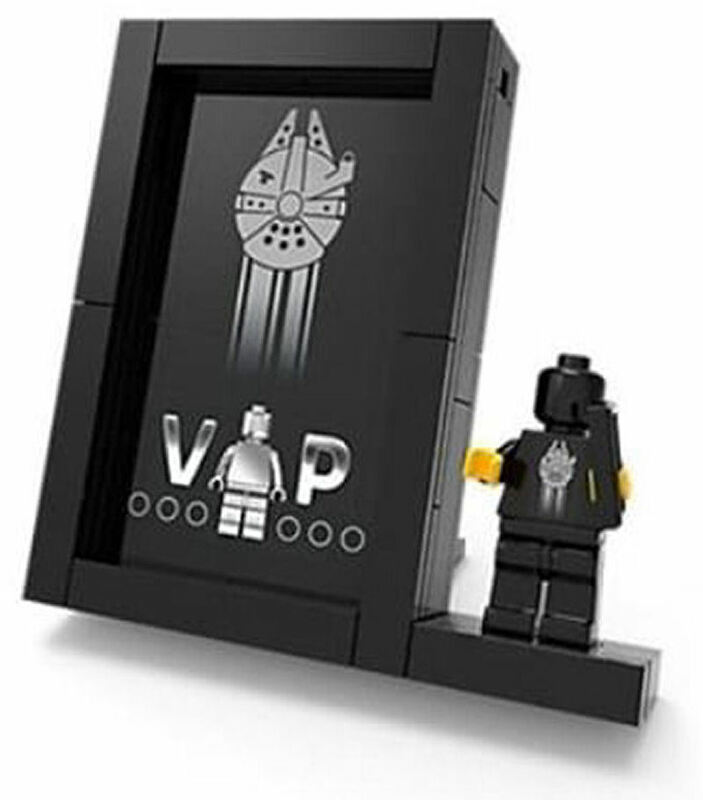 Briefly revealed earlier today when it popped up on LEGO.com, is the final 5005747 Star Wars VIP Gift that holders of the Star Wars VIP card are entitled to receive this month. 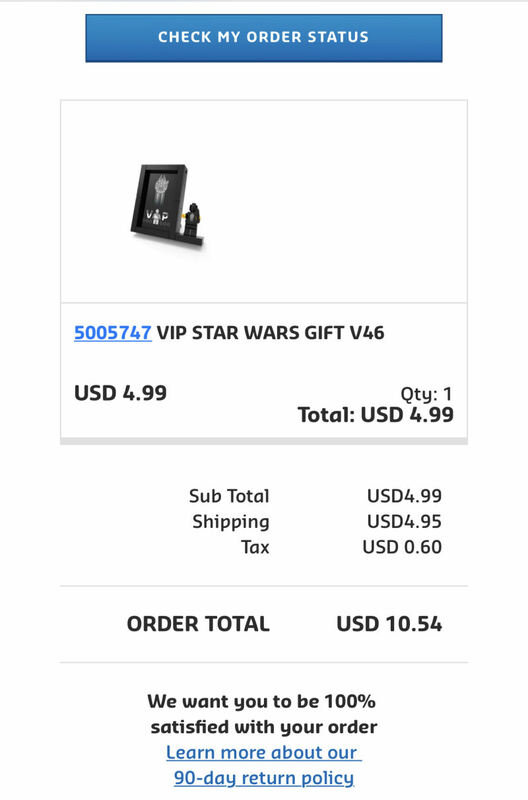 While the mechanism of the offer hasn't been fully revealed a few lucky shoppers were able to place a $4.99 order for theirs. The order review team at LEGO.com quickly rectified the mistake and the page soon disappeared, while the warehouse staff were notified that orders were to be held upon the result of the investigation which should be completed in the next few hours. So if you are a bona fide, card-carrying member of Club 75192 you'll still be in with a chance to get yours, but if you were one of the few who managed to get an order placed you probably want to exhale because there's no point holding your breath. 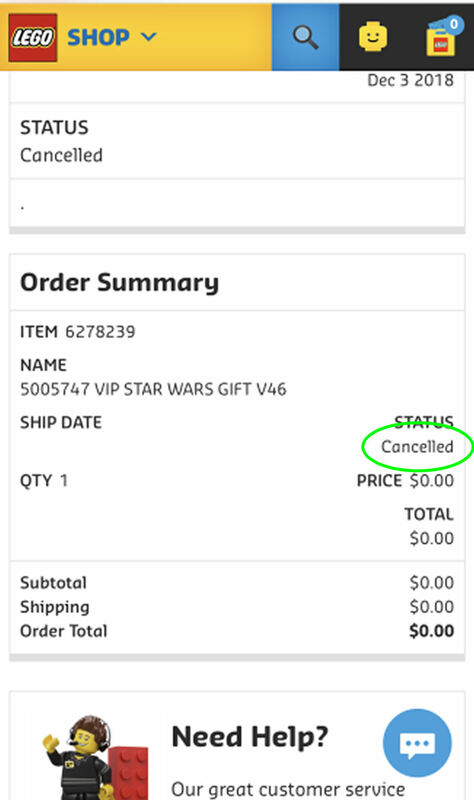 UPDATE: It has been confirmed that anyone who placed an order for the 5005747 Star Wars VIP Gift are having them cancelled.